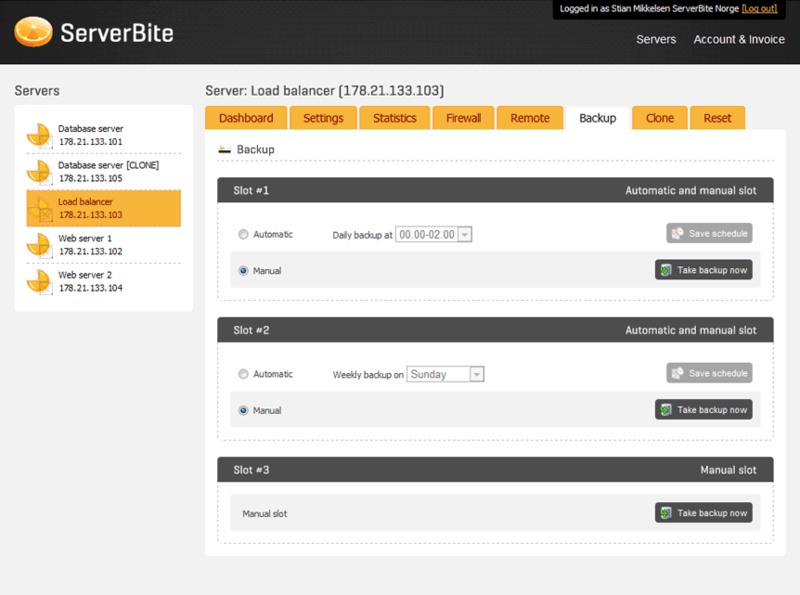 Create a daily, weekly or manual server backup, a snapshot of your server. 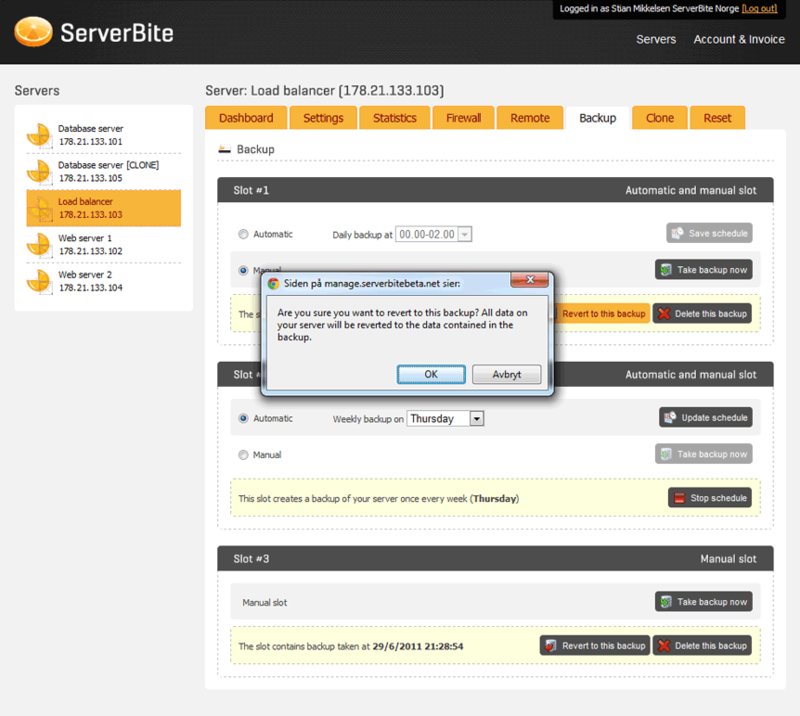 If somethings goes wrong, just restore the snapshot and your server is back up and running in a matter of seconds. Just like before the incident. 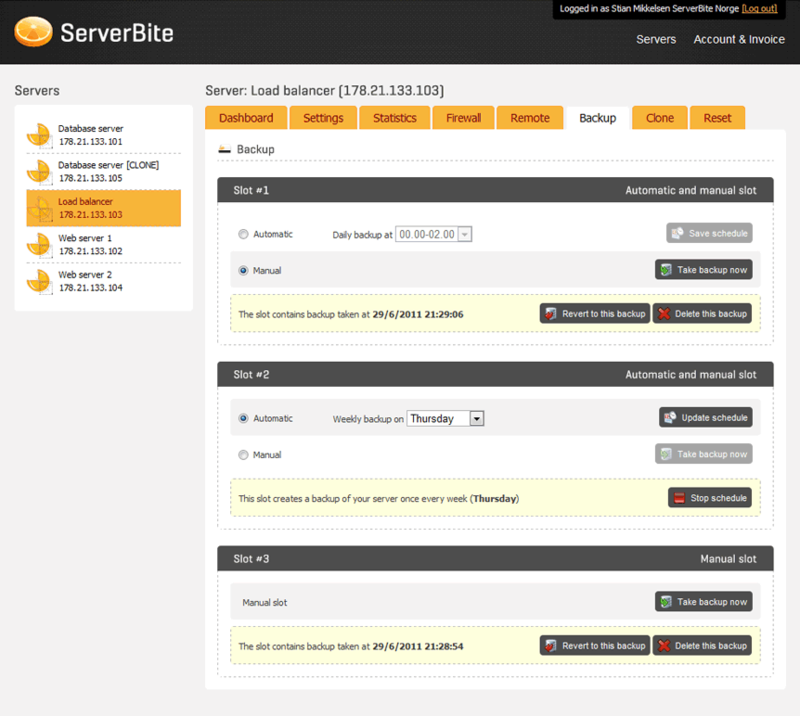 Backups can run automatically every day or every week. 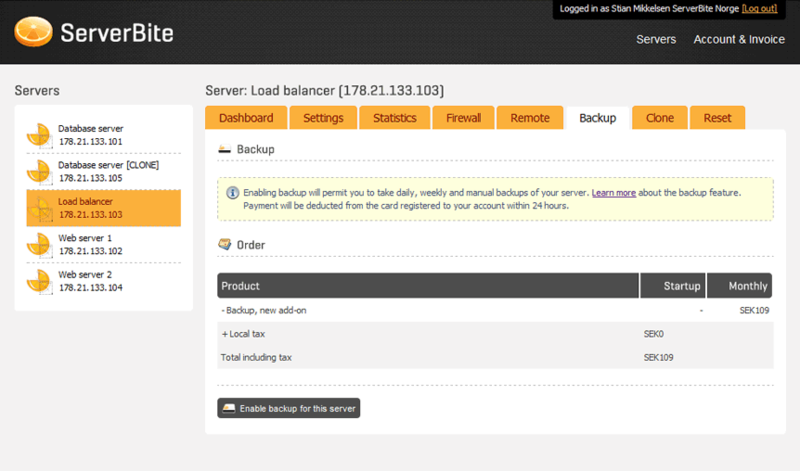 In addition you can create manual backups, for instance before you do an upgrade or an installation.